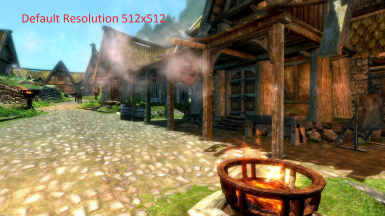 This project aims to improve the performance by reducing texture's resolution without losing too many quality. 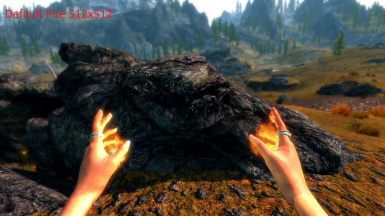 So far, the mod only features low resolution smoke and fire effects, but I plan to add snow/sparks effects, as well as low res grass and fog. 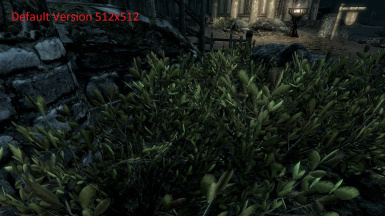 Right now I have a pretty decent rig because I can play Skyrim on Ultra settings + ENBs and never go below 60fps, however, I used to play with a 256mb Radeon HD 4670, and Skyrim lagged like hell, so I wanted to make people who play on Low-End PC's get better performance. Will I really get better performance? The performance increase depends on the whole system, some people may not even see a 1FPS improvement. The lower your framerate, the higher the performance increase. The higher your framerate, the lower your performance increase. 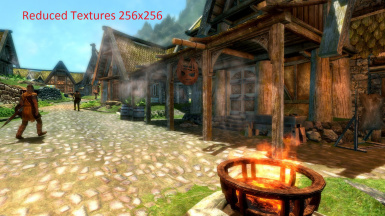 Some users have reported that the Low Res Fire Effects and Spells, only improves the performance when there is a lot of fire (dragon fights, mage fights...) and not when idling. In other words, it makes the minimum framerate higher. 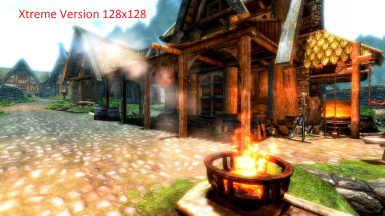 Not compatible with Realistic Smoke and Embers, if you want to keep the realistic embers, install my mod after Realistic Smoke and Embers. Not compatible with mods that modify fire effects and spells, such as Ultimate HD Fire Effects.